whenever the thatch reaches a thickness of about 1/2 inch. 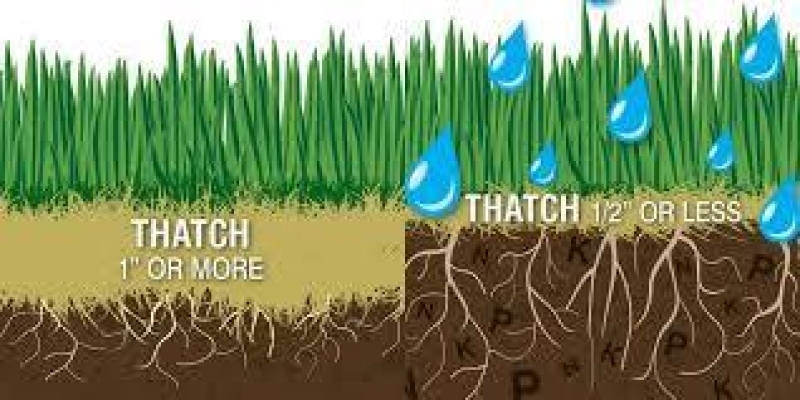 To check, just work your fingers into the grass and note the depth of the thatch layer. shaped tines slice into the thatch, then rake it up.